Thank you for visiting our website. With 20+ years, Barbara Trumbull has become a pillar in the North Texas Real Estate Community. She has earned countless awards and served on many boards, in order to better educate the Realtors and community alike. Every year she helps many local charities, youth groups, and churches meet their fundraising goals, and it is for these reasons that her clients use and refer her with absolute confidence for all of their real estate needs. 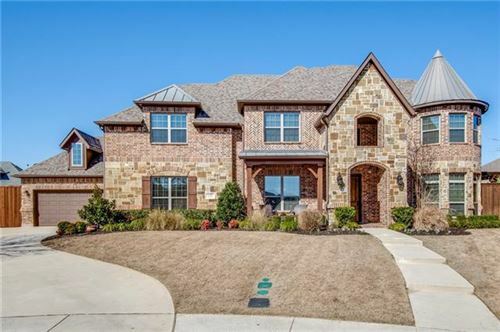 For the last nine years she has been the Team Leader of the Frisco office, where she enjoyed helping hundreds of new agents start and grow their real estate careers. But with every end comes a new beginning and she once again will be back to serving the community as a full time agent. Joining her, is Jonathan Stroud, her future son-in-law and business partner. Jonathan has been a full time agent for six years. He is the KW Cares Golf Tournament Chair over the North Texas Region for last two years. "Awesome!! I just wanted to let you know that you and your company are by far the best we have worked with in our rental experience with both apartments and homes. We appreciate you taking the time and care that you do. Thank you all so much!!! " "Hi Barbara and Jonathan, It is of course with great joy that I’m composing this email. Both of you were instrumental in the process of listing and selling my house in less than a month. And to think, I didn’t believe it was possible. After my first visit with you last fall, I was apprehensive about whether it was to my benefit to sell or to lease my house. You explained the pros/cons for both avenues in great detail and the services your office could provide. After a few months of debating with myself, I decided to contact you again to see if it was possible to unload the house in the fastest method possible. You assured me the housing market was great in the springtime and confidence was high that we could find a buyer quickly. Your acute professional knowledge of the market was dead solid perfect! And Jonathan’s follow-up responses to my numerous inquiries were reassuring to me as a first time seller. But most of all, both of you were very attentive to my concerns and ver"
"My wife Lorraine and I offer our sincere support to Barbara Trumbull and her Team at Keller Williams. We've known Barbara for more than 5 years and have observed her dealing ethically with clients, neighbors, and other professionals. She excels where others fail. When Lorraine and I decided to move from Prosper to get closer to work in Addison we sought out Barb for her sound council and integrity. 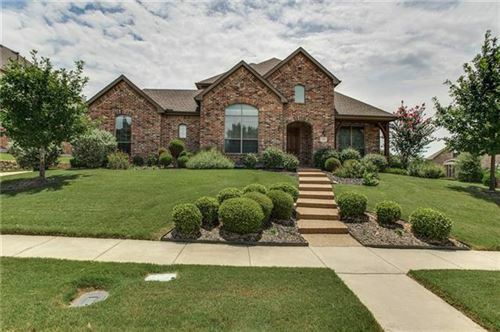 We were able to sell our home quickly and find a new one without any surprises. The recommendations she made were sound and lead to a smooth transition from country to city living. 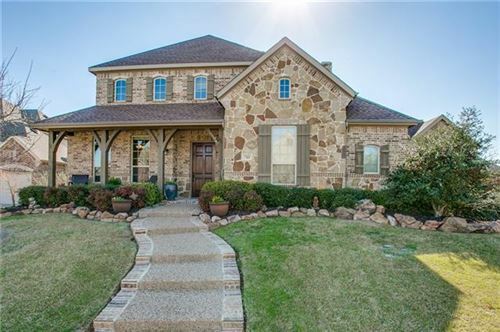 When we hear of someone interested in property in the Dallas area there is no one else we'd trust! Additionally, when we are ready to move again, Barb will be our first call. 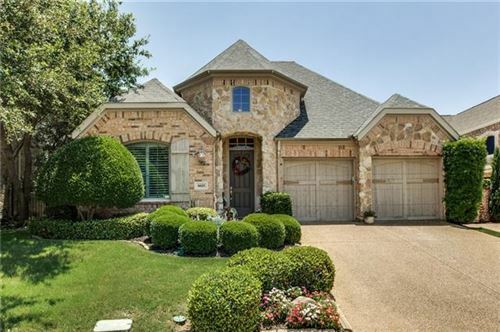 If you have any questions about this recommendation, please call us - Scott and Lorraine Rose - 2145076118 "
"We appreciate all your help buying and sellling. You Rock! " "Date: Thu, Feb 7, 2013 at 2:45 PM Subject: THANK YOU! To: Barbara Trumbull Please let me know if you need anything from us! As selfish as this is....I'm blessed you tore your rotator cuff and ended up being our real estate agent!!! We couldn't have done it without you! Btw...we still need to do dinner! Any free time next week? Barbara and Jonathan were everything that we were hoping for and needing while buying our first home. They went above and beyond what any other real estate agent would have done and made us feel like we were their only clients. I was truly concerned about finding a home that really felt like it was perfect for us...boy was I wrong! They spent many days searching and an unending amount of phone calls to find our home; not to mention putting up with my control issues. When issues aroused with our builder, they immediately went to bat for us and got us what we asked for. We couldn't have been blessed with a better team to guide, teach, and support us in buying our"
"Thanks so much. I really appreciate all your help along the way. You are right we do have a great agent. Barbara is the one who recommended to use REMN for our financing, we had already been pre-approved with USAA at the time, and Barbara and Jonathan recommended Mike Maris very highly as a VA expert(they were right). Since we have such a great team assembled it has led us to getting the house of our dreams and we are very happy and excited. Thanks for all the great advice and hard work along the way. By the way, the value was actually higher than the appraisal. We were given great advice to put in the winning bid at a lower value. Looks like we will walk into this home with a bit of equity after all is said and done. Can't wait for the 31st to get here and close on this loan. Thanks again team, we owe you all big time, you can all definitely count on my recommending you to all my friends and family, as well as my large extended military network, and you have earned our highest praise."